Taste test: Though they could be called "cheesy," I say the sour cream flavor outweighs the cheese flavor  maybe 60/40. That said, I think the balance is great; the flavors complement each other nicely and are not overpowering. 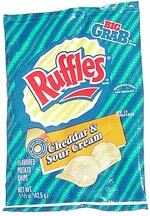 A great chip! 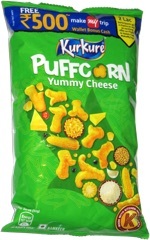 This snack was discovered at TechTarget headquarters, 117 Kendrick Street, Needham, Massachusetts.